The Intellectual Property practice at international law firm Duane Morris is recognized as one of the leading IP groups in the United States. National publications, including U.S. News and World Report, have ranked Duane Morris among the leading law firms handling patents, trademarks, copyrights and related IP litigation. Duane Morris' IP attorneys focus on leveraging their clients' intellectual property to help them achieve success in the marketplace. Our IP lawyers provide counsel on the most efficacious methods of establishing and developing IP holdings and protecting IP rights so clients can realize the most value from those assets. From patents to trademarks and copyrights to licensing and technology transfers to IP audits and IP asset due diligence, our attorneys offer clients portfolio management and strategic advice on obtaining and protecting valuable intellectual property. Our attorneys utilize cutting-edge technological resources, including offering our clients technology solutions for real-time patent and trademark docket management. The Duane Morris IP Portal gives clients anytime/anywhere access to a wealth of information on their IP holdings, including status updates on filings and alerts to upcoming deadlines. The firm's IP lawyers represent clients ranging from large multinational corporations to individual inventors, authors and owners of creative works. Our IP team includes highly trained attorneys with multiple technical degrees and jury trial experience as well as former patent examiners and patent agents, former corporate patent and trademark counsel and professors of IP law. A sampling of matters the IP Practice Group handles includes biotechnology, pharmaceuticals, consumer products (particularly in the food and home and personal care categories), entertainment, media, franchising, distribution, trade secret matters and licensing projects. Our IP attorneys also assist clients in disputes regarding rights of privacy and publicity, antitrust and Internet and e-commerce issues. Unlike IP boutique firms that limit their practice solely to intellectual property matters, Duane Morris is a full-service firm with attorneys supporting our IP lawyers in all practice areas, including litigation, tax, corporate law, customs enforcement, antitrust, employment, business and finance, international law, government contracts, bankruptcy, banking, personal financial planning, insurance and securities. Our firm also has offices in major markets across the United States, as well as offices in London, Singapore and Vietnam, and has strategic alliances with international networks of law firms to help us service our clients' needs worldwide. Our clients benefit from our IP lawyers' ability to draw upon this diverse group of counsel. Duane Morris lawyers use a collaborative approach to leveraging intellectual property holdings to help clients meet their goals, without requiring them to repeatedly explain their business and objectives. Duane Morris is recognized as one of the United States' most-active law firms in terms of patent filing and protection. 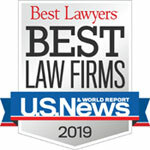 National publications, including U.S. News and World Report, have ranked Duane Morris among the leading law firms handling intellectual property, patents and patent-related litigation. Our lawyers represent clients in patent disputes involving a wide variety of complex technologies, including biotechnology, pharmaceuticals (including ANDA-related litigation), medical devices, business systems and methods, computer systems and software, Internet- and email-related technologies, telecommunications equipment, electronic instruments, semiconductor manufacturing, consumer products, chemical processes and products, manufacturing processes and equipment, factory automation, security and monitoring equipment, oil drilling, and water treatment and purification systems, to name a few. Clients rely on the specific knowledge of Duane Morris' registered patent attorneys and agents to obtain patentability opinions, prepare and file U.S. patent applications in all subject matters and disciplines, and render validity and infringement opinions. We also coordinate with our international networks of law firms to secure and maintain patent protection throughout the world. Our Intellectual Property attorneys thoroughly grasp the science and technology behind each client's ideas. All of the firm's patent lawyers and agents have science or engineering backgrounds and most have real-world experience in their respective disciplines. When our IP attorneys enter a courtroom, they are adept at explaining complex technical issues in a straightforward manner and presenting our client's story to the judge and jurors in the most compelling way possible. We handle patent litigation for large and small corporations as well as individual inventors and start-up enterprises. We also are experienced in conducting interference proceedings before the U.S. Patent and Trademark Office (USPTO). Duane Morris attorneys' combination of extensive trial experience as lead counsel in litigation before state and federal courts, as well as unique trial experience within the U.S. Patent and Trademark Office, can help clients take advantage of, and respond to, inter partes review (IPR). Duane Morris attorneys advise clients on the merits and desirability of instituting parallel proceedings before the USPTO as well as with regard to defending their patents during these proceedings. Duane Morris has represented clients in a wide range of technology and life sciences areas, including Hatch Waxman matters, as IPR remains a viable option for generic drug companies to challenge asserted patent claims. Of the industries in which Duane Morris has significant experience, a number of lawyers focus their practices on the complexities involved in bringing pharmaceuticals to market, handling regulatory issues with the Food and Drug Administration and abbreviated new drug applications (ANDAs) for clients based in the U.S. and around the world. Another area in which Duane Morris lawyers have unique capabilities is government contracting issues and federal IP requirements. The firm's lawyers counsel defense contractors, software and high-tech companies and others regarding government contract issues and procurement claims. Duane Morris partners include former U.S. military officers who maintain top secret security clearances that enable them to advise clients with issues related to classified technologies. We help our clients in multiple industries understand how to maximize the value of patents, and we appreciate the importance of carefully managing and implementing patent portfolios for the benefit of their businesses. We offer our clients technology solutions for real-time patent docket management through the Duane Morris IP Portal. Also, our IP Practice Group has substantial experience in the domestic and international licensing and transfer of patents and all forms of intellectual property. Our patent litigators combine mastery in trial advocacy, an in-depth knowledge of patent law, an aptitude for science and technology and a focus on our clients' business objectives. We represent clients in enforcing their patents, defending against claims of patent infringement, and disputes concerning inventorship and ownership of patents, and patent licenses. Duane Morris litigators have played a leading role in some of the most important cases in the field of patent law, as well as some of the most complex (including one of the largest patent cases ever tried before the International Trade Commission). Our Intellectual Property attorneys assist clients in obtaining trademarks and copyrights, perform searches and render registrability opinions. We file and maintain thousands of applications to register trademarks, current trademark registrations and copyrights each year in the U.S. We also coordinate with our international networks of law firms to file and maintain thousands of trademark applications and registrations throughout the world. We offer our clients technology solutions for real-time trademark docket management through the Duane Morris IP Portal. We help clients establish, enforce and challenge trademark rights, both in the United States and abroad. We also counsel clients in trade dress and unfair competition matters under Section 43(a) of the Lanham Act as well as matters involving both IP and antitrust laws such as tying arrangements and covenants not to compete, and disputes regarding publishing rights and piracy. Our IP trial lawyers litigate trademark claims in federal courts throughout the country, the Trademark Trial and Appeal Board and the International Trade Commission. We have recovered thousands of domain names from cybersquatters, and we counsel clients on domain name strategies, domain name acquisition and the protection of IP rights on the Internet, including through international proceedings of ICANN and WIPO. Our attorneys also have significant experience with pharmaceutical trademark and trade dress matters. We focus on protecting the goodwill and brand value that our clients have worked to develop through their trademarks and trade dress, and handle an array of disputes, including those concerning consumer product trademarks, business names, trademark dilution, trademark counterfeiting, false advertising, and clothing and accessory designs and other forms of trade dress. We often represent copyright owners in actions against people and businesses that sell infringing items. Similarly, we represent composers, authors, software developers and publishers in protecting their copyrighted works against unauthorized copying, distribution and performance. Our lawyers have obtained ex parte orders to seize counterfeit goods under both the copyright and trademark laws. Trade secrets can be among the most valuable intellectual property in a company, reflecting cutting edge innovations, competitive advantage and the contributions of key personnel. Duane Morris attorneys work tirelessly and creatively to protect, maintain and enforce their clients’ trade secret rights and to vigorously defend them against claims for trade secret misappropriation across a range of industries and technologies, including among others, Internet and e-commerce, data storage, software, video games, aerospace, satellites, genetics, medical devices, biopharmaceuticals, tamper resistant seals, cosmetics, energy, oil and gas, chemical, e-cigarettes, power amplifiers, financial services, paper, aluminum casting, construction and the food industry. Our team consists of accomplished intellectual property, trial and employment lawyers who collaborate to handle and resolve trade secret issues and allegations when they arise, and to prevent and preempt them where feasible. We advise and counsel clients on best practices for trade secret protection and enforcement, and conduct and direct pre-litigation trade secret investigations using experienced professionals and cutting edge forensic tools. Duane Morris is one of the most-active law firms in the United States in all aspects of intellectual property litigation. National publications, including U.S. News and World Report, have ranked the firm among the nation's leading firms for patent, copyright and trademark cases. Our intellectual property litigators have been involved in many of the cases that have defined the scope of intellectual property rights. These cases resulted in decisions of the Supreme Court of the United States or of the Court of Appeals for the Federal Circuit, the special appeals court for patent cases. Representative lawsuits include College Savings Bank v. Florida Prepaid Postsecondary Educ. Expense Bd., a case that resulted in two Supreme Court decisions defining the limits of applicability of federal patent and trademark laws to state entities; Nobelpharma AB v. Implant Innovations, Inc., a Federal Circuit decision affirming a major award of damages to our client for the plaintiff's antitrust violation in attempting to enforce a patent procured through fraud; and Markman v. Westview Instruments, Inc., which resulted in decisions of the Federal Circuit and the Supreme Court establishing that interpretation of patent claims is a question of law to be decided by a judge rather than by a jury, in what have become known as Markman hearings. In today's legal environment, however, only a small percentage of cases go to trial. Thus, it is crucial to have counsel who is focused on clients' business objectives and the most cost-effective means of achieving those objectives. If a creative business resolution is in order, we will litigate the case in a manner that will drive the case toward such a resolution. We also have extensive experience in the use of alternative dispute resolution mechanisms. From the outset of each case, we explore with our clients the potential risks, opportunities and costs associated with various strategies for dispute resolution, including litigation, mediation, arbitration and negotiated settlements. Understanding the constant cost pressures clients face, Duane Morris leverages its significant knowledge of how to cost-effectively manage global IP portfolios by offering its patent and trademark clients Web access to our firmwide case management system, the Duane Morris IP Portal. Duane Morris has implemented the Patricia® system to automate and streamline the many thousands of United States and foreign patent and trademark portfolios owned by our clients. Through the Duane Morris IP Portal, clients can access—at no cost—a wealth of information about their patent and trademark portfolios, including status updates on filings, alerts to upcoming deadlines and information useful in litigation preparation. For more information, please contact L. Norwood "Woody" Jameson or any of the lawyers referenced in the Attorney Listing.